And the winners are . . . Rudi, Norbert and Brooksie from Lakeport, and Bishop, Floyd and Cha Cha from Ukiah! From nearly 200 original entries, the final Top Dogs were picked by voting on Facebook and the winners were announced on Friday April 29. Congratulations to the beautiful pups who will grace the labels of Rainbow’s Natural Nuggets Dog Treats for the coming year! And, thank you to everyone who participated by bringing in their dog for a portrait and voting. 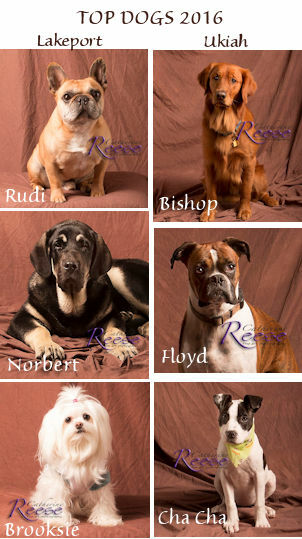 Thank you also to photographer Catherine Reese, who did a great job on all the dog’s portraits. Don’t forget, if your dog had his photo taken during the Top Dog contest, you can purchase portraits, mugs, key chains and other fun stuff directly from Catherine Reese. Just check out her website for details. Changes! Rainbow Ag will be upgrading our website soon and we’re excited about the changes! Statistics shows that over half of our readers access the Rainbow Ag website and newsletters on a mobile device – a smart phone or tablet. The new website design will make checking out all the goings-on at Rainbow even easier, and the newsletter will also be more mobile friendly. While it might take a little while to get used to, rest assured that all your favorite Rainbow Wags and On the Right Lead content will be available and even easier to share with your friends too! So keep an eye open for the new, improved website and newsletter format coming to your inbox soon. Another change! Now VIP Community Veterinary Clinics will be in Lakeport every Saturday from 12:30 to 2:00 pm instead of twice a month! VIP offers vaccinations, microchips, heartworm medication and more, all at a reasonable cost and from a licensed veterinarian. Check out the VIP clinics at a Rainbow Ag near you! It’s kitten season, and the Mendocino County Animal Shelter is in need of canned cat food for the rescue kittens. While the kitties prefer “pate” style food, rather than chunks, any and all non-expired cat food will be gratefully accepted. Drop off your donation at 298 Plant Road in Ukiah, or contact them at (707) 463-4427. As the seasons change from spring to summer, foxtails become the number one problem seen by veterinarians. Remember to check your pet carefully when they come back in from a romp in the grass. Scratching, chewing at toes, watery eyes, and sneezing can all be signs that our furry friend has picked up a foxtail! Foxtails can move internally rather rapidly, so there might be barely an entry wound, but an internal foxtail can migrate up a leg, into internal organs and cause serious problems or even death. If your dog has long hair, consider a clip or partial clip to lessen the chance of a foxtail infestation. This month, the vets from Middletown Animal Hospital share some information about Anaplasmosis, a serious tick-borne disease that is endemic in our area. Luckily, this disease can be tested for, along with Heartworm and Lyme’s disease, in the same blood test. An important aspect to preventing Anaplasmosis is to keep our pets free from ticks. To help you out, check out the Subscriber’s Coupon for $5.00 off SpectraSure for dogs and cats. Year-round tick prevention is the best way to keep our pets safe and protected from tick borne disease. Win a $15.00 Rainbow Gift Card! 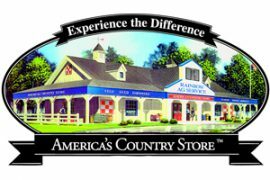 Answer the Rainbow Wags Trivia Question (there are clues in this issue) and correct answers will be entered in a drawing for a $15.00 Gift Card, good at either Rainbow Ag store! Congratulations to the April winner, April Christoffer. The April answer is: Mendocino Spay Neuter Assistance Program has a new Facebook Page. This entry was posted on Monday, May 23rd, 2016 at 12:45 pm	and is filed under News, Rainbow Wags Newsletter. You can follow any responses to this entry through the RSS 2.0 feed. Both comments and pings are currently closed.